Nicknamed the Jumping Dragon, Zhou went on his best ever run at a ranking event in 2017. He appeared in a maiden semi-final at the European Masters in Belgium. Zhou produced a fine performance at the 2017 Welsh Open. He reached the quarter-final stage before losing out against Scotland’s Scott Donaldson. He went on a run to the last 16 of the 2016 UK Championship, defeating compatriot Yan Bingtao in a 6-5 thriller along the way. The talented potter also qualified for the final stages of the World Championship in 2017, winning three matches to reach the Crucible before losing to Ding Junhui. 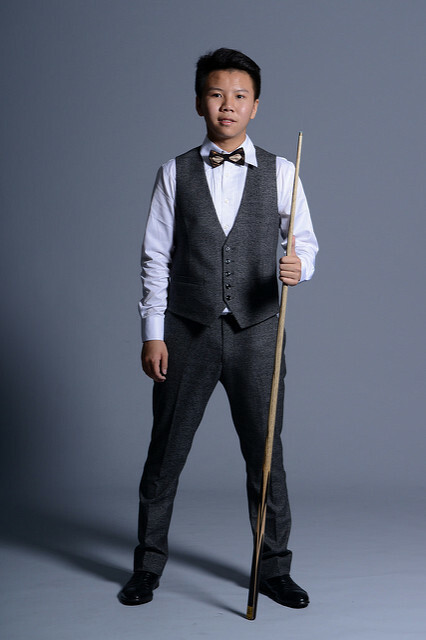 Chinese prodigy Zhou recorded his best win of the 2015/16 season at the Champion of Champions event in Coventry. The Chinese teenager beat Stuart Bingham 4-3 in the last 16 before losing out 6-3 to Kyren Wilson in the quarter-finals. Zhou qualified for that event thanks to sensationally winning the 2015 World Cup alongside Yan Bingtao.